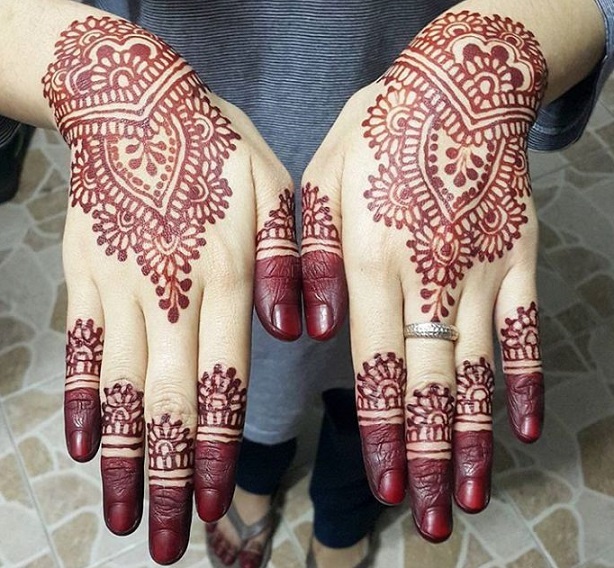 Every muslim bride in Singapore wants to have the most intricate bridal henna on their wedding day. 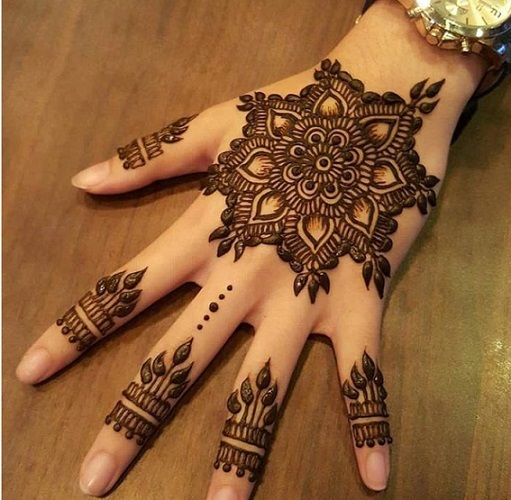 It is a popular custom still practised in Asia and Middle Eastern region. 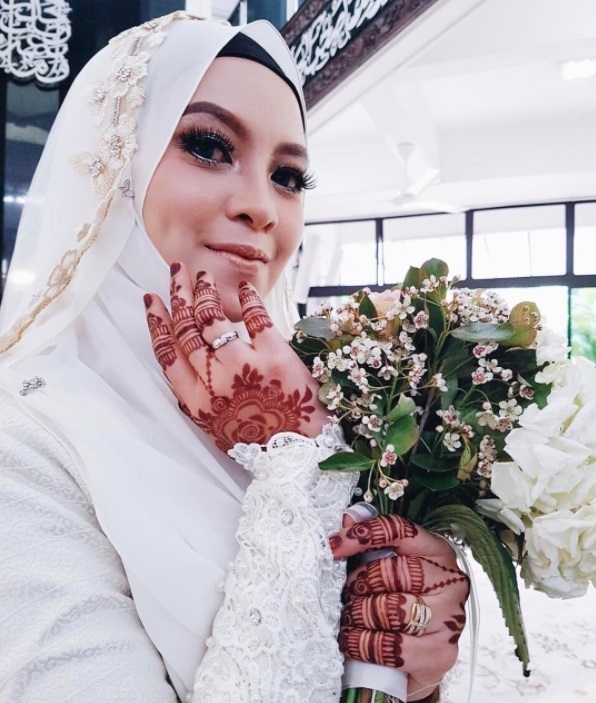 They are usually done by professionals with plenty of designs to choose from. 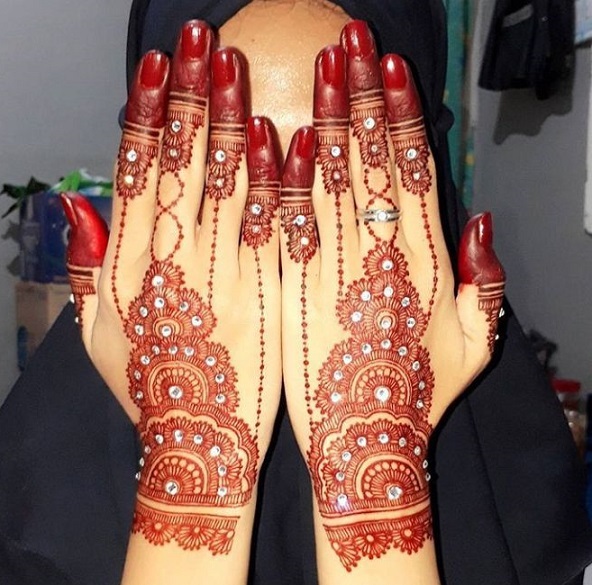 The application of henna is usually done one or two days prior to the wedding to ensure the design is completely dry and the henna stain will not smudge. 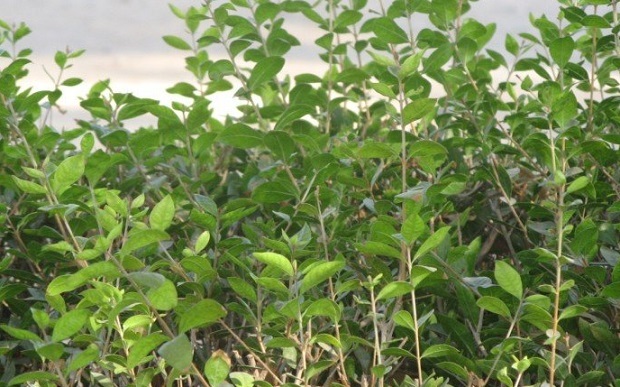 Henna is the Persian name for a shrub known as Lawsonia Inermis. 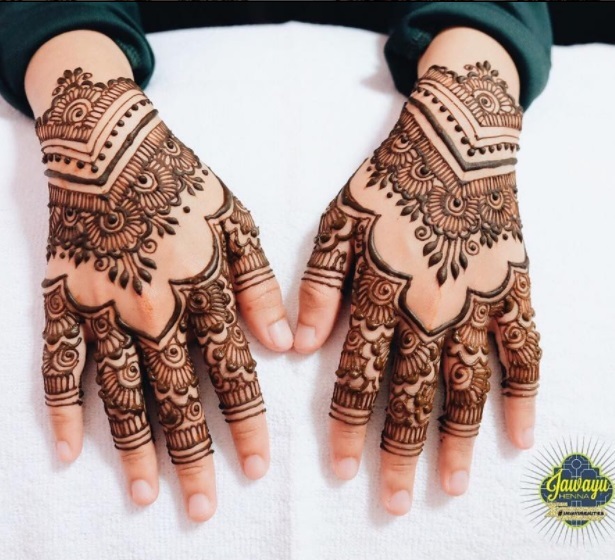 Henna is native to Asia and they thrive in warmer climates all over the world. 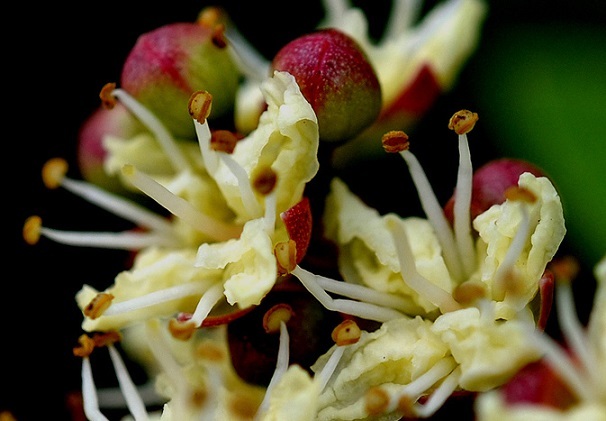 It has small, four-petaled flowers ranging from yellow to pink and its leaves produce a red dye. 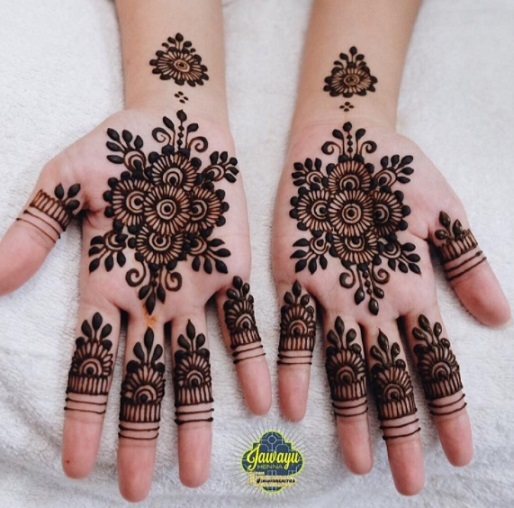 The henna plant produces extremely fragrant and delicate flowers, which have been used in perfume since ancient times. The leaves are then harvested and dried to eliminate moisture so that they can be preserved for a longer time. They are then ground into a fine powder. After grinding, this is the powder that is called Henna Powder or Mehndi. 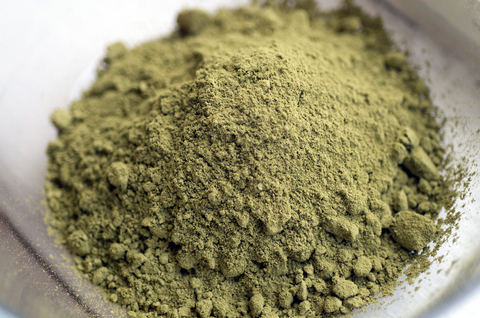 The green powder is then made into a paste using safe and natural ingredients. 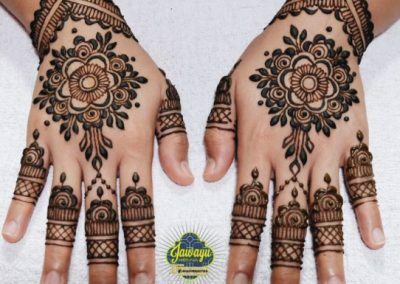 They are also used to dye hair red and for the ancient eastern art of mehndi. 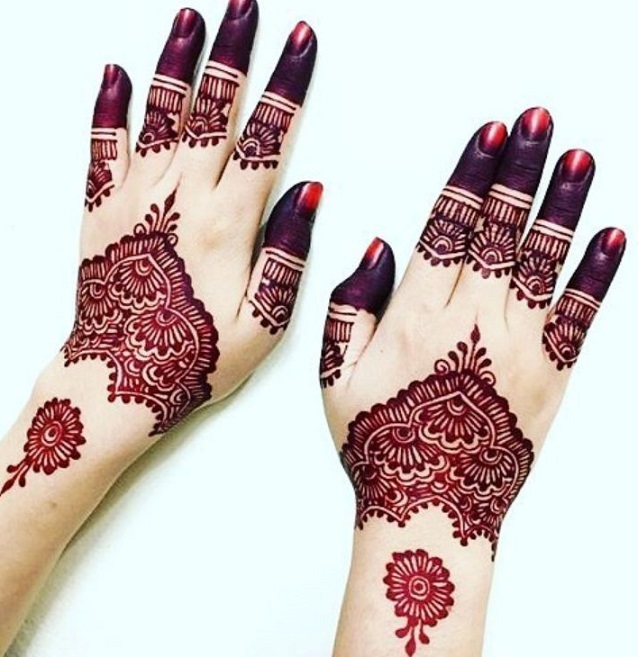 Henna contains hennotannic acid, a dye that bonds with the collagen in skin cells and keratin of fingernails and hair, leaving behind a red coloring. 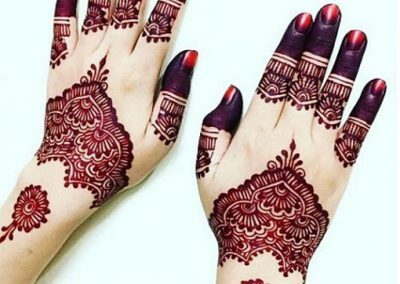 Henna stains not just skin, but the hair too, making it an all-natural dye. 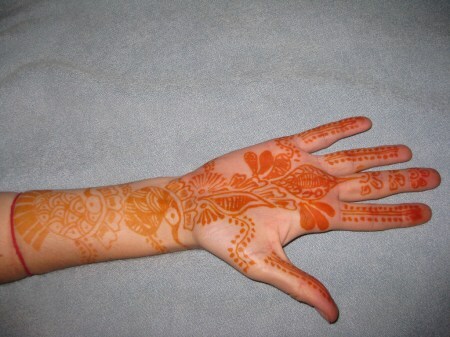 Typically, the stains range from a bright orange, dark red or brown, depending on the amount of time the henna is left on. 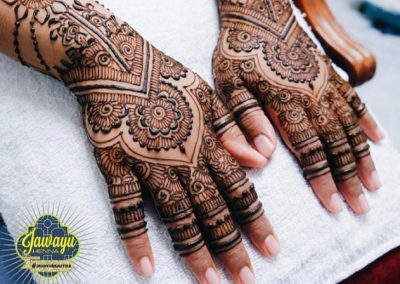 Mehndi is the Hindi word describing the process of painting patterns on the body with henna paste and the resulting stains left on the skin. 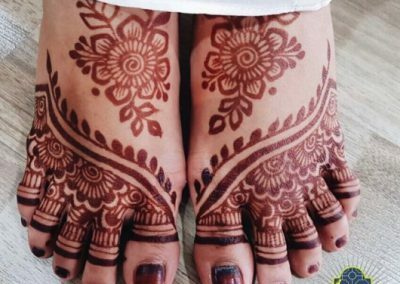 Using the henna paste, intricate patterns are applied to the skin, traditionally on the hands and feet. Basically, it means the same thing. 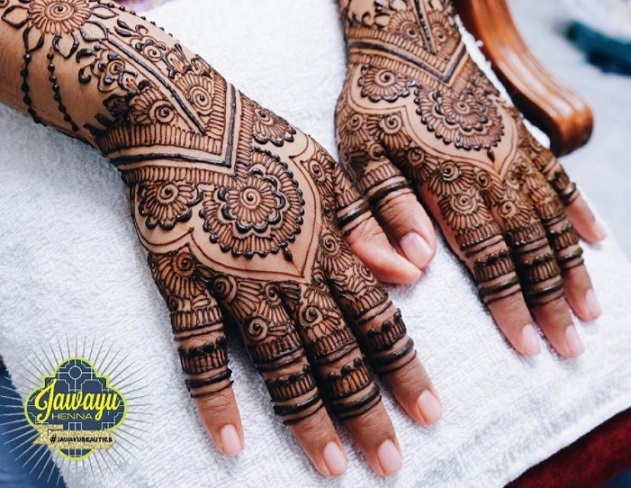 Henna is a great way to create designs on your skin without the permanent effects of a tattoo. 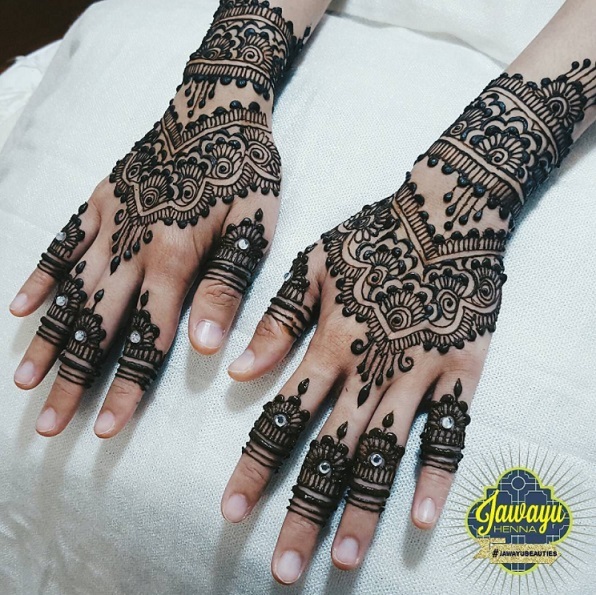 A variety of methods are employed when drawing on the skin with the paste. 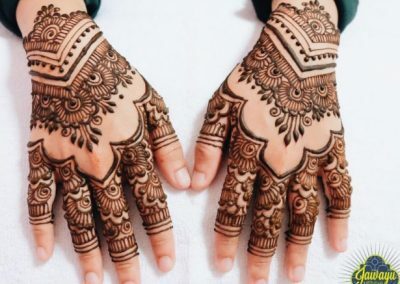 Commonly used is the henna cone. 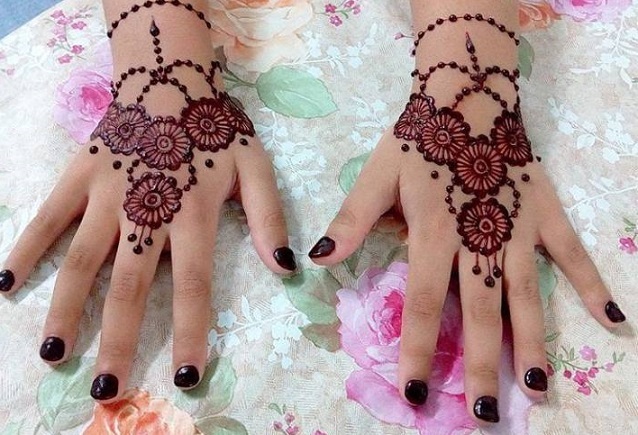 It is quite common to see trendy henna design done on ladies even when there’s no festivities. 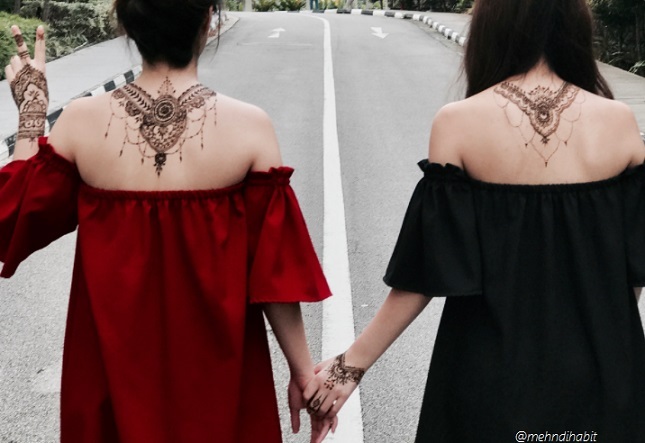 Cool Henna designs by @mehndihabit Contact: +65 9790 6491 . Checkout their IG page too ya. 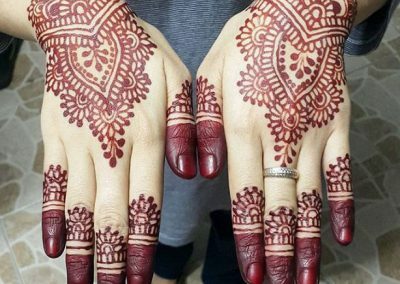 Pure henna is safe. It has been used for thousands of years. They are natural and one of the safest things you can put on your skin. 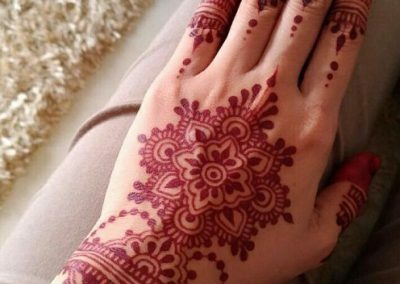 After putting on henna, it is unusual that you should have an allergic reaction. If you have sensitive skin, do a skin test first to be sure. 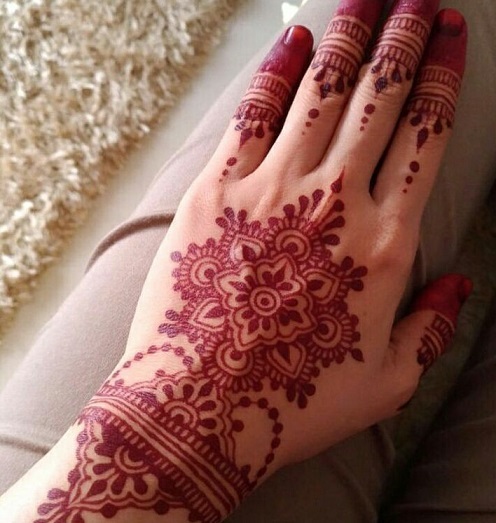 Pure henna is never blue, yellow, purple or black. If they are of those colors, check whether the coloring used are natural and organic. 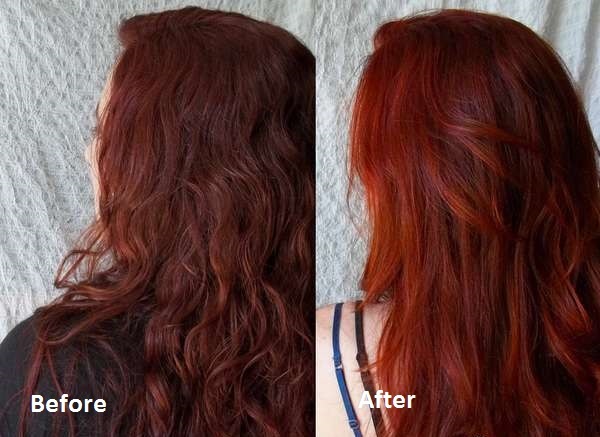 If the product have those colors, you should check what those dyes are. Avoid them totally when in doubt. The same goes when it just smells funny to you. 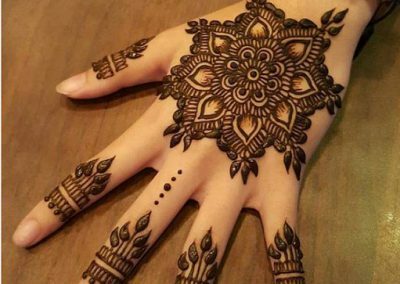 Henna artists nowadays usually use a paste that’s packed tightly in a cone with a very sharp tip to ensure precision when drawing the design. 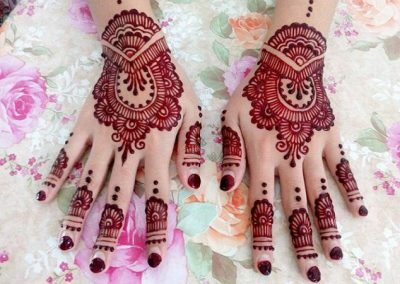 Generally henna stain will last somewhere between one to four weeks. Any longer it’ll be just an orangey faint stain with hint of it’s design. 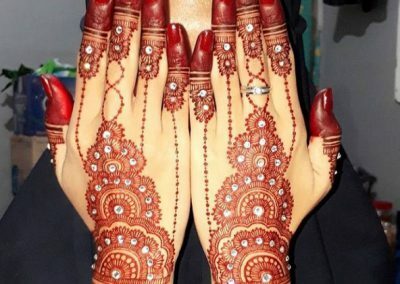 According to tradition, the bride doesn’t leave the house after this henna ceremony is done. 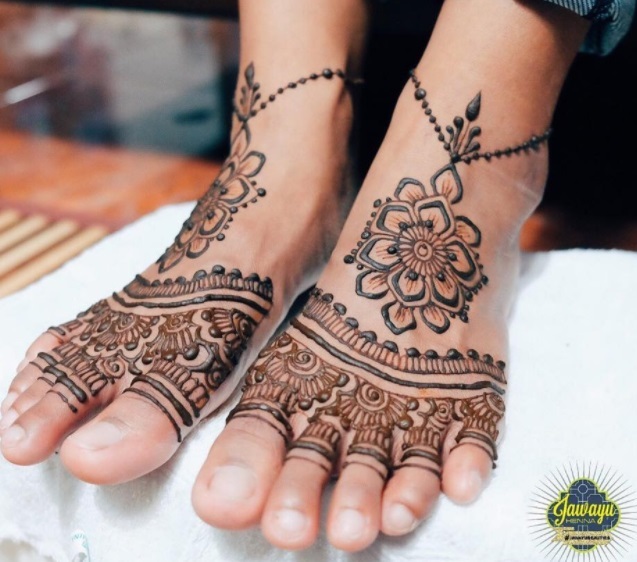 A skilled expert is brought in to apply the mehndi/henna to the feet, legs, hand and arms, this can take hours to complete. 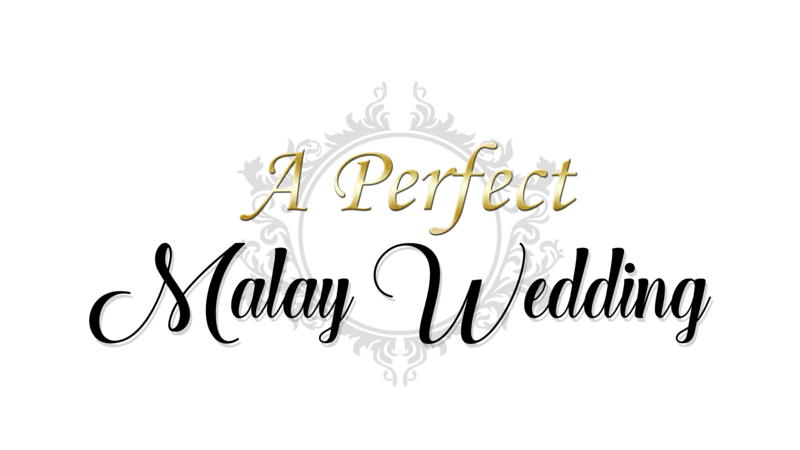 They are usually done by professionals with plenty of designs to choose from. 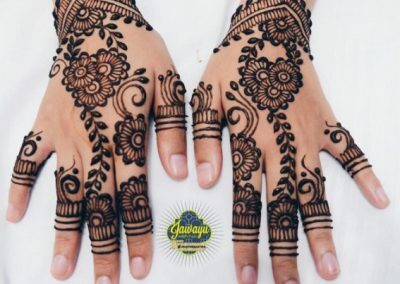 The application of henna is usually done a one or two days prior to your wedding to ensure the design is completely dry and the henna stain will not smudge. 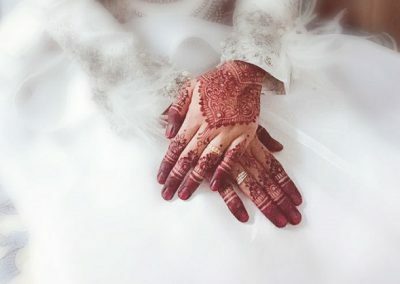 Bridal henna (Majlis Berinai) is a popular custom still practised by Malay Muslim brides in Singapore. 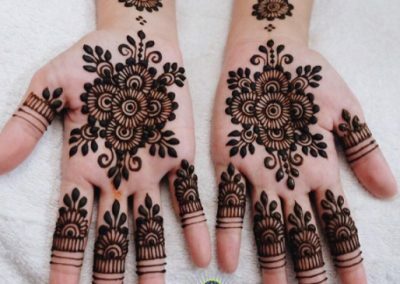 Of course there’s other ethnic groups that are using henna too, but we won’t go into detail just yet. 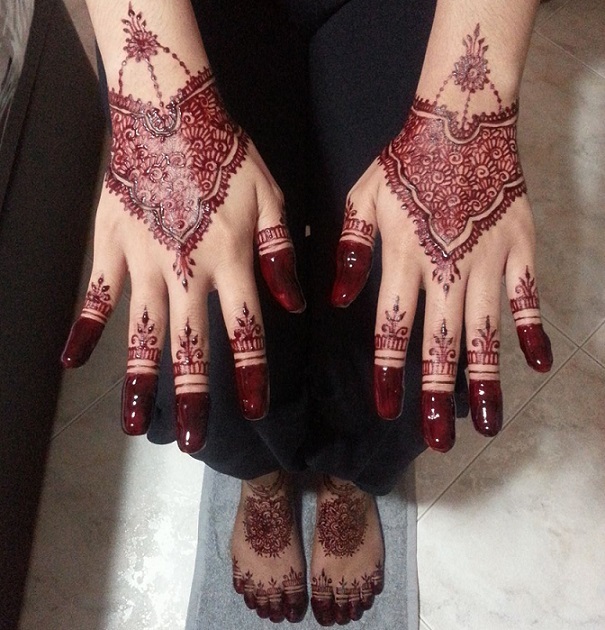 Bridal henna designs are usually very detailed, intricate and time-consuming to be applied. 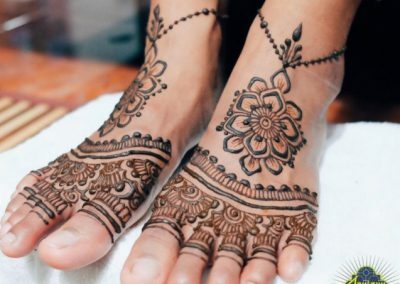 Depending on the experience and skill of the henna artist applying the henna, it can take anywhere around 1.5 to 6 hours to complete a full bridal assignment, with the henna drawn on both hands and feet. 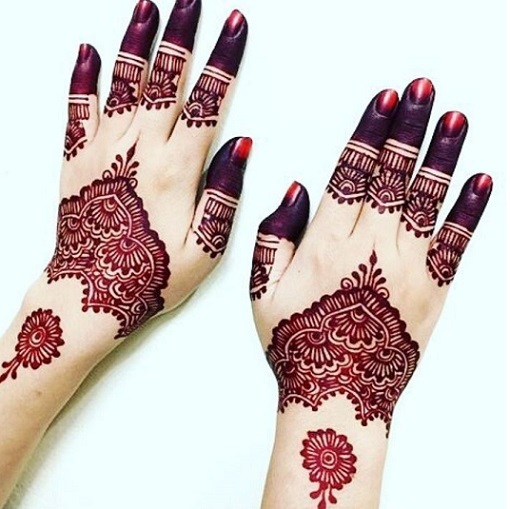 Brides usually will have to decide on several things prior to the henna application. 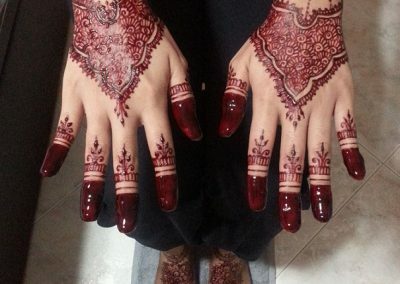 They have to specifically tell the henna artist what they want, or risk getting an unsatisfactory finish. Even worse, she’ll be stuck with a design that she’s not fond or proud of. These include the design itself and area of coverage. Oh, and having the bride’s and groom’s initials are also trending. But of course it’s still personal preferences. 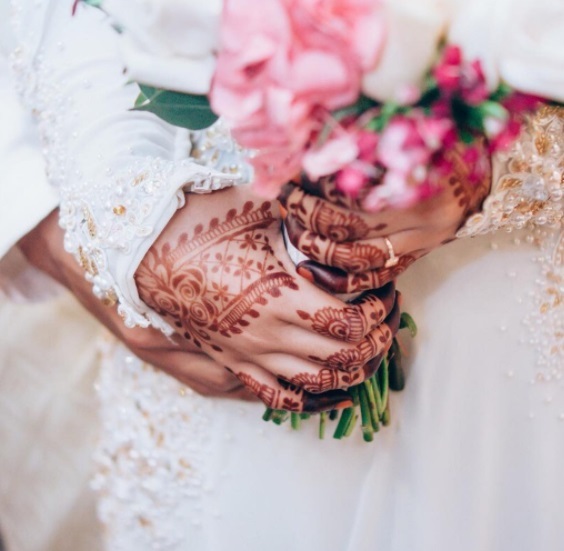 Here are some helpful tips to help you care for your newly done up henna. 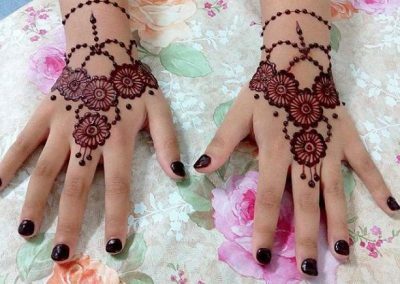 Keep the henna on your skin for as long as you can, overnight is best. 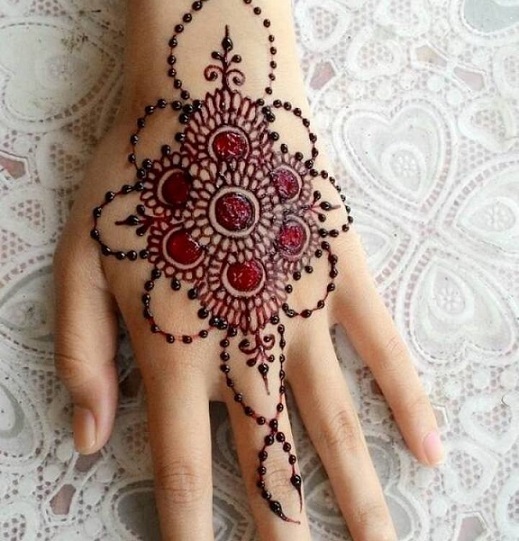 If you are not able to keep the henna paste overnight then try to keep it on for at least 4 hours. 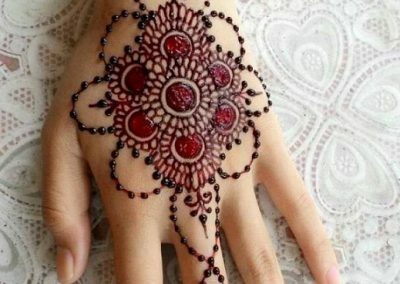 Medical adhesive helps to protect the henna and keep it in place. Try to remain warm; henna loves heat. Warmth helps draw the dye out of the henna and is all part of the process to achieve a beautiful, dark stain. 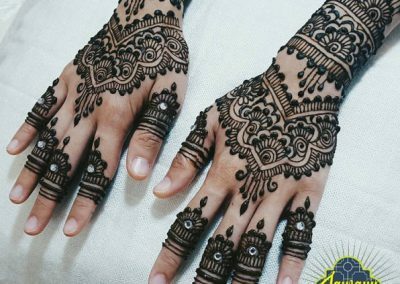 To remove the henna paste from your skin after it has dried you can either peel it off or use a spoon and carefully scrape the paste off. 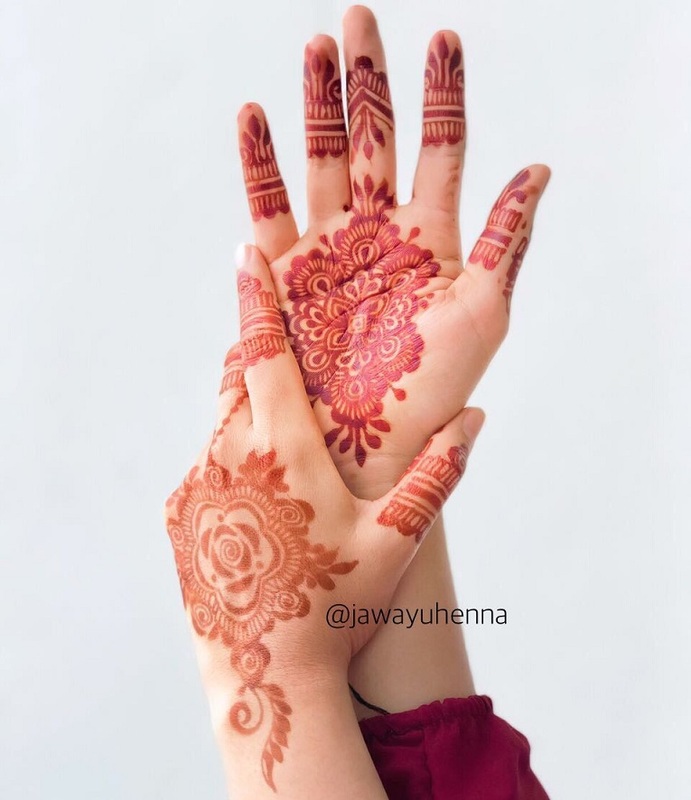 Do not use water or try to wash the henna off. 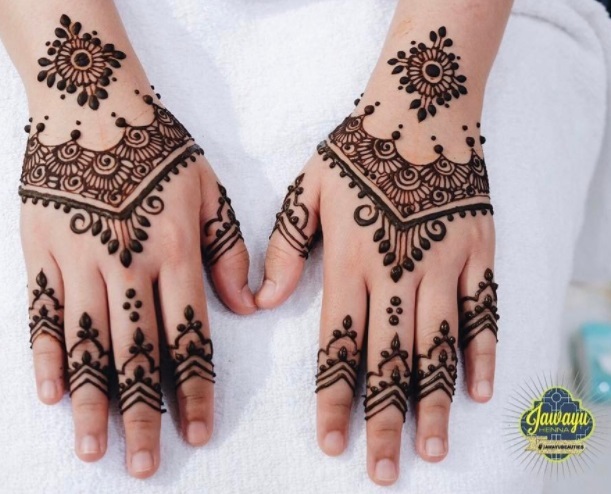 This will prevent the henna from getting as dark as possible. 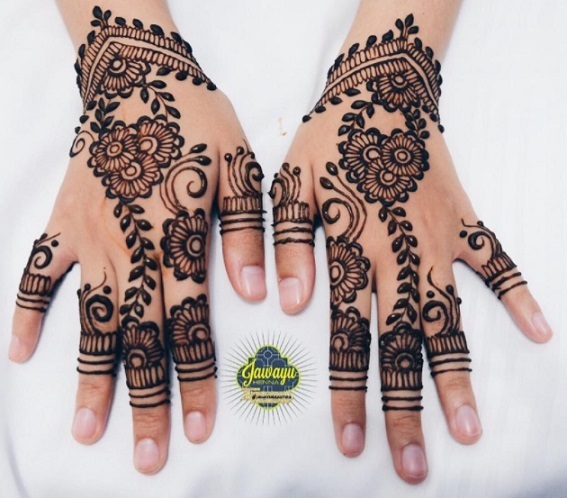 When the henna is cleared, you can use natural essential oils like olive oil, coconut oil or jojoba oil, etc for your skin. This will hydrate your skin. Instantly, you will see the colour change to a deeper orange / red colour. This colour will darken even more over the next 48 hours. Avoid water and soap as best as you can within the first 10 hours. 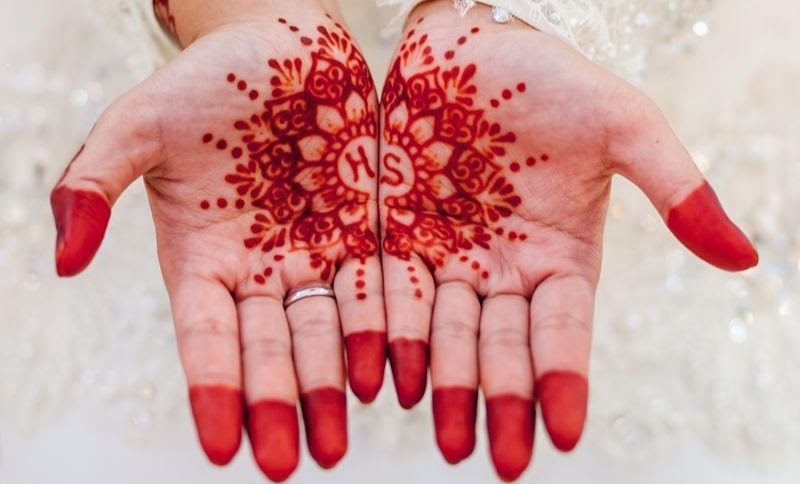 Soap washes the henna away and does not let the stain set in. 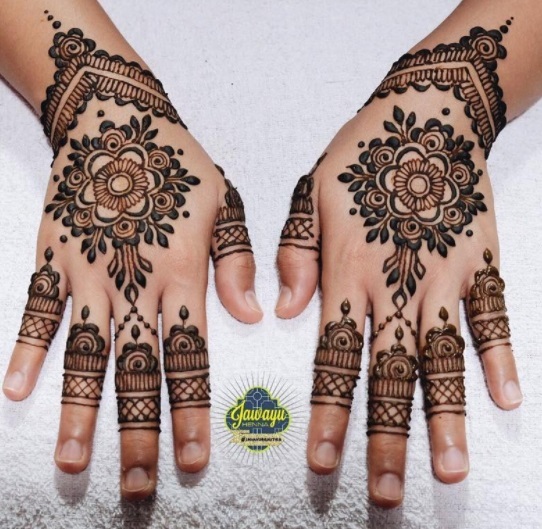 When washing dishes or showering, just remember to give extra TLC to your henna designs.